Virtual and augmented reality headsets are unique as they have access to our facial area, an area that presents an excellent opportunity for always-available input and insight into the user's state. Their position on the face makes it possible to capture bio-signals as well as facial expressions. 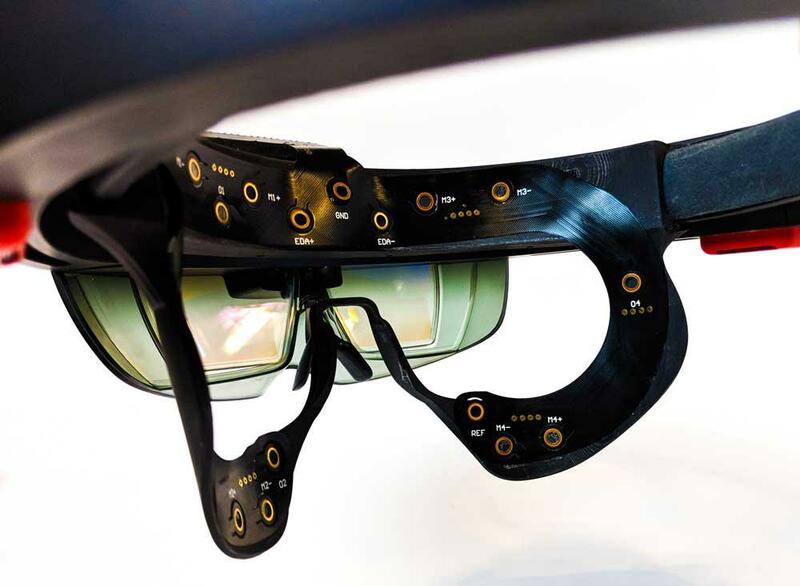 This paper introduces the PhysioHMD, a software and hardware modular interface built for collecting affect and physiological data from users wearing a head-mounted display. The PhysioHMD platform is a flexible architecture enables researchers and developers to aggregate and interpret signals in real-time and use them to develop novel, personalized interactions and evaluate virtual experiences. Offering an interface that is not only easy to extend but also complemented by a suite of tools for testing and analysis. We hope that PhysioHMD can become a universal, publicly available testbed for VR and AR researchers.